We are a student organization sponsored by Institute of Computational Mathematics & Scientific/Engineering Computing (ICMSEC), Chinese Academy of Sciences (CAS). We were founded in June of 2011 by a small group of enthusiastic students in ICMSEC, on the initiative of Professor Lloyd Nick Trefethen FRS (SIAM President of 2011--2012) and Professor Ya-xiang Yuan (our Faculty Advisor). 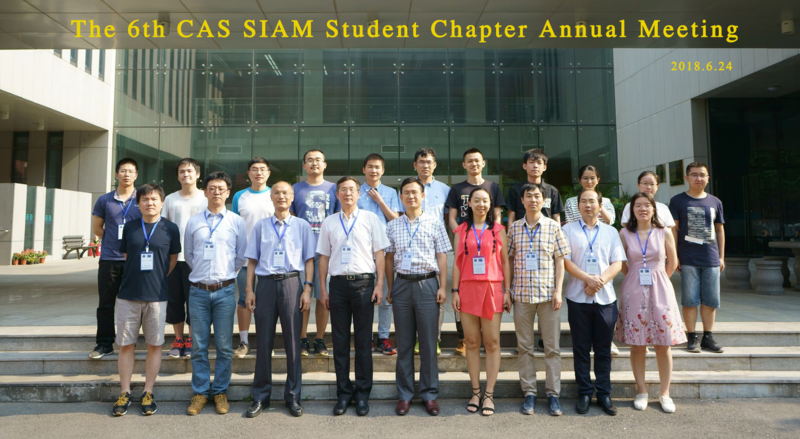 To build strong connections between SIAM and the students in CAS, between students and faculty, and among students from different research areas. To encourage and help students to apply mathematics to real-world problems, by establishing links with industrial partners. To promote the development of industrial and applied mathematics in CAS, even in China. This is our long-term goal. It is in this list because we believe that the optimal way to develop any science is to make more students get involved, as students are the future. For past and future activities, please visit the Activities Calendar.